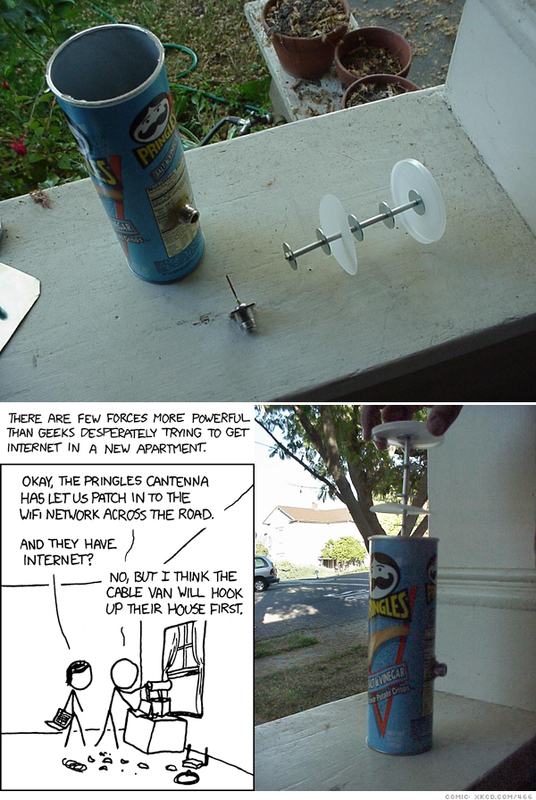 Ten years now the cantenna, the art of putting various antenna device behind or inside tin cans. You can actually gain over 12DB with a cantenna. Here in Sweden a friend once told me he was using a danish internet hotspot for over two months! Anyway the pringles antenna made Adam Flaherty originally recently turned ten and i guess we might as well honor this as cantenna’s are epic! Next: This is the best ever, how a 13 year old tried to hack a Steam account, and got hacked.